In today’s hyper connected world, rumors become truth within 24 minutes! 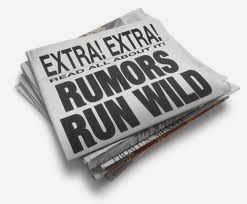 Rumors – whether shared via traditional media or social media – can harm associations ... Quickly. Successful association executives ensure their organizations are listening and monitoring all forms of media. Private golf clubs are membership organizations. Like your association, they need to be aware of what impacts their members and their organization. In a blog post, Please step away from the panic button, Plum Hollow Golf Course Superintendent Adam Garr tackled rumors about the impact of ice and near-record snowfall on his golf course. “Rumors are circling all over SE Michigan almost as fast as the snow is melting,” Garr wrote. He then shared a series of facts and myths to address those rumors. The key to Adam’s success is that his blog has established trust. He has been blogging about these issues all winter. He shared notes and video from a webinar on the issue. In short, he has been building trust among his members which helps him address the rumors. Are you building your association’s reputation as a trusted source? Are you listening and monitoring to determine what is being said about your association? Do you have a communications strategy that allows you to respond in engaging ways? Share your thoughts in the comment section at www.scdgroup.net. Successful Associations Fish Where the Fish Are!